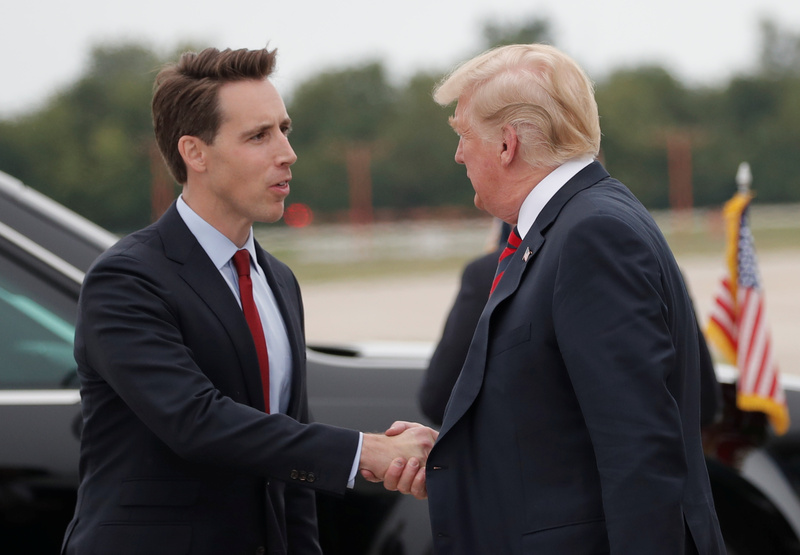 Republican Missouri Attorney General Josh Hawley took a commanding lead over Democratic Sen. Claire McCaskill as a new poll showed the race is finally outside of the margin of error. Hawley is ahead of the Democratic incumbent by 7 points, according to an internal poll from the GOP campaign. Accordingly, 49 percent of likely voters prefer Hawley while 42 percent prefer McCaskill, the additional 9 points are spread evenly between undecided voters and third-party candidates. “This lead has held firm since the vote to confirm Justice Brett Kavanaugh to the Supreme Court,” the polling memorandum read. A separate Missouri Scout poll conducted over the same period shows a statistical dead heat in the race between the two candidates. Hawley is barely edging out McCaskill, leading her by only 1 point, according to the polling data. The internal poll was conducted between Oct. 16 and 18 and was comprised of a sample size of 800 likely voters with a 3.66 point margin of error.